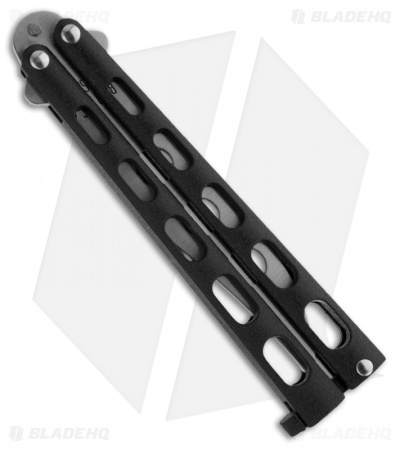 Be sure to view our other Bear Butterfly Knives in stock! Bear butterfly knife trainer. 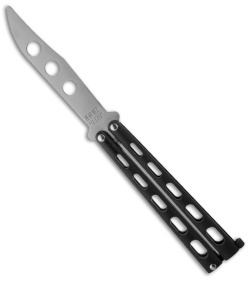 This trainer knife feature a tough black epoxy coating over the zinc handles. The handles feature a skeletonized design to reduce weight. Stainless steel trainer blade with a satin finish. Single tang pin. A nice USA made mid-range butterfly knife. The appeal of this knife is that it should be legal almost anywhere- you can become a butterfly pro in expectation of the day you get the real deal. I like this trainer. It has its use. It's inexpensive enough and it works well. As a first time trainer, it will suit you well as low cost option. If you stick with flipping you'll quickly outgrow it and end up a better feeling trainer. I got this trainer a while back and have to say that it has been very good for me who is just starting to get into balisongs. The one problem, which is a fairly major one, is that after a few months of use, one of the handles has completely snapped off. However, I can't be too upset because I did only pay $30 for it and it held up very well for the price. If it was a benchmade trainer I would say otherwise, but for this knife I would recommend it for anyone who is just starting out. 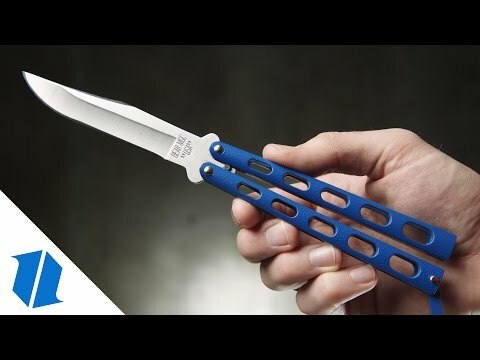 However, if you want a good trainer, I'd say the extra cash is worth it for a benchmade trainer or even a live blade. In the knife world you generally do get what you pay for.